In Tanzania, there are many opportunities for exploration on foot and exploration into the far-flung ‘wilds’. We focus on protected and unique areas that have been ear-marked for conservation based on flora, fauna and cultural diversity. These areas can lie within zoned national parks, conservation areas, game reserves or even be a remote village that offers stunning landscapes or wildlife viewing opportunities. With well-trained walking guides, a walking safari can be the highlight of your East African itinerary; a simple walk with the ladies of the Maasai tribe to fetch water, an afternoon survey of wildebeest as they come to drink at a croc-infested river or a herd of elephant meander off into the sunset are all experiences that encompass true Africa. There are times when we walk, unaided by crew, from one exclusive point to another. This may be a drop off on a particular route with the final destination being a sundowner in camp. There are other times when we can walk the full day with a support crew for refined lunch enroute to replenish our senses before setting off again. Like the plains the great Serengeti, the prospects may well be endless. Feeling inspired to book your Nasikia Tanzania Camps? We’d love to hear from you and help to plan the perfect trip. 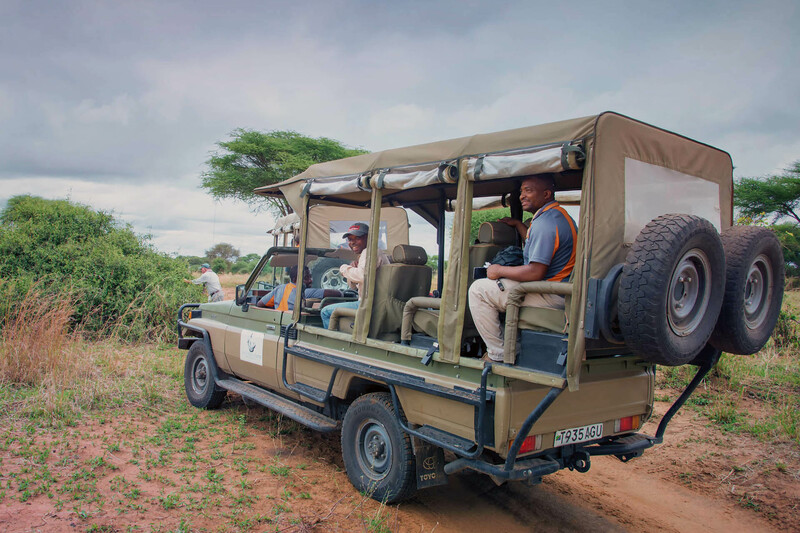 Game Drives are conducted in open Land Rovers with expert field guides who reveal the free roaming Big 5 in a Cape Floral setting – a once in a lifetime experience. Morning and afternoon safaris are included in your stay on the full board package with gourmet breakfast treats or delicious hors d’oeuvres and sundowners in the afternoons.